Earth Day (April 22nd) is a lovely reminder to celebrate our planet which sustains us, brings us joy, and is one of the greatest teachers for our us and our children. Lake Country’s beautiful landscape and network of parks, trails, and lakes makes it rich with opportunities to experience nature’s glory. Here are some ideas and information to celebrate! Earth Week and Earth Day Finale, Retzer Nature Center: A week of fun leading up to a big celebration on Sunday. We have more details about that here. You can find the schedule of events here. Earth Day on the Farm, Stone Bank Farm Market: Enjoy hikes, children’s activities, farm tours and more. Find out more about this event here. 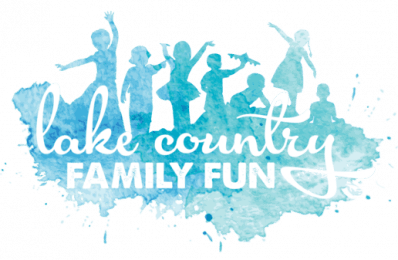 Annual Earth Day Celebration, Good Harvest Market: A cook out, kids activities, and 5% of the day’s sales will be donated to the Waukesha County Land Conservancy. Find out more here. Earth Day Activities, Ebert’s Greenhouse: Children will have the opportunity to do recycled planting and garden projects, a nature scavenger hunt, and design a t-shirt. Find out more here. Menomonee Falls River Cleanup: Help clean up the parks and rivers in Menomonee Falls. Find out more information here. Work-Play-Earth Day, Kettle Moraine State Forest Southern Unit: Volunteer to help plant trees. Find out more information here. Milwaukee Riverkeeper Spring Clean Up. Register here. 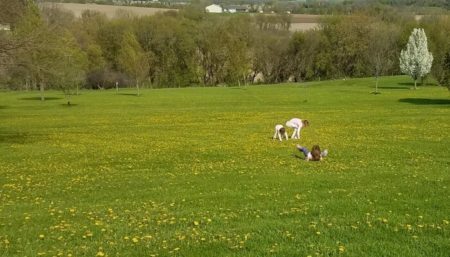 Play at a local park: See our guide to local parks here or check out what guest contributor, Jann, thought of the Waukesha County parks when she visited all of them last year. Find out more about her experiences here. Tyke Hike on the Ice Age Trail (Monches): Explore the Ice Age National Scenic Trail on a variety of slower-paced, family-friendly hikes focused on exploration, discovery, service opportunities, and natural play. Find out more here. *Did you know we have two Ice Age Trail Communities (Delafield & Hartland) in Lake Country? Pretty cool! Sign up for a Tinkergarten Class: Families meet outdoors to connect and learn through play. Children will participate in an expert-designed play scenario, allowing them to explore, problem solve, communicate, collaborate, and create together. Parents and caregivers learn, too, as we’ll share insight into your child’s development. Find out more about classes and sign up here. Wisconsin Explorer Program, Wisconsin State Park System: Pick up a booklet, visit state park locations, and earn badges by completing requirements. Find out more here. Make Seed Bombs. Find instructions and inspiration here. Grow Your Own Food. Check out our contributor, Martha’s experiences here. Make some of the simple switches listed here to reduce household waste. See what cloth diapering is all about here. Reduce consumption and avoid fast fashion by shopping second hand. Check out our rummage sale guide here. Support local farms and eat local food by joining a CSA (community supported agriculture). Find more information here and about local CSA’s in your area here. Support local farmers markets (most are starting up again soon!). Here’s information about farmers markets in our area. For me, experiencing nature is a reliable way to switch from a crabby mood into an inspired one and to refresh my spirit. Time spent exploring nature as a family often imprints my soul with a sense of connectedness long after we have returned to our usual daily routine.